Business investment has tumbled and hiring weakened following a steep minimum wage hike and cap on working hours. Growth in the $1.5 trln export-dependent economy also is sputtering just as the U.S.-China trade war intensifies. Seoul would be wise to make some small adjustments. 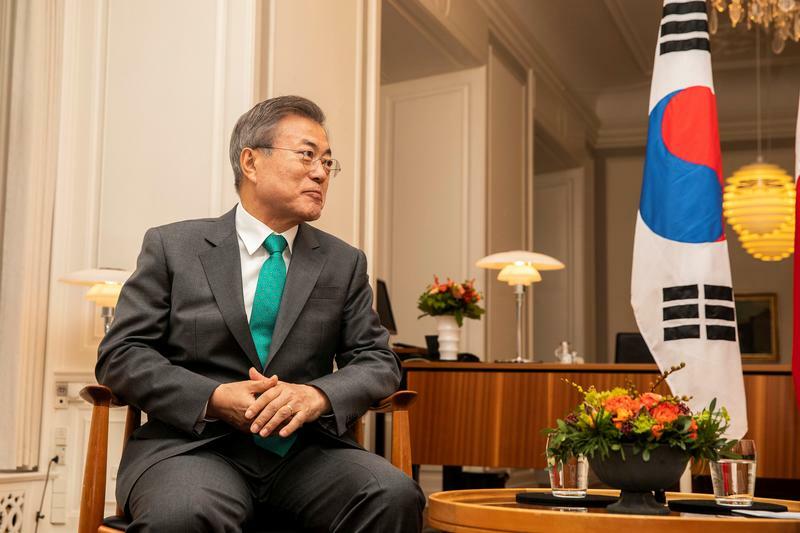 South Korean President Moon Jae-in meets with Danish Prime Minister Lars Loekke Rasmussen (not pictured) on the sidelines of the P4G Summit, at the Danish Prime Minister's Office in Copenhagen, Denmark October 20, 2018. South Korea's economy grew 2 percent in the third quarter from a year earlier, the Bank of Korea said on Oct. 25. That compares to a median forecast of 2.2 percent, according to a Reuters poll. So-called gross fixed capital formation, which measures new investments in physical assets, fell 4.5 percent from the same period in 2017. Of that amount, construction investment shrank 6.4 percent in the quarter, marking the biggest decline since the 1997-1998 Asian financial crisis, as government measures to curb rising housing prices discouraged home-building. Since the start of 2018, the government has introduced a series of pro-labour policies, including a 16.4 percent rise in minimum wages and a lower cap on the maximum weekly work hours from 68 to 52 for certain companies.